TENAA has issued an approval for the ZTE Axon 2, which is listed under the codename A2017. From the images submitted to TENAA, the phone looks like similar to its predecessor with a few slight differences. The dual camera setup is gone and below the camera there's a fingerprint scanner. 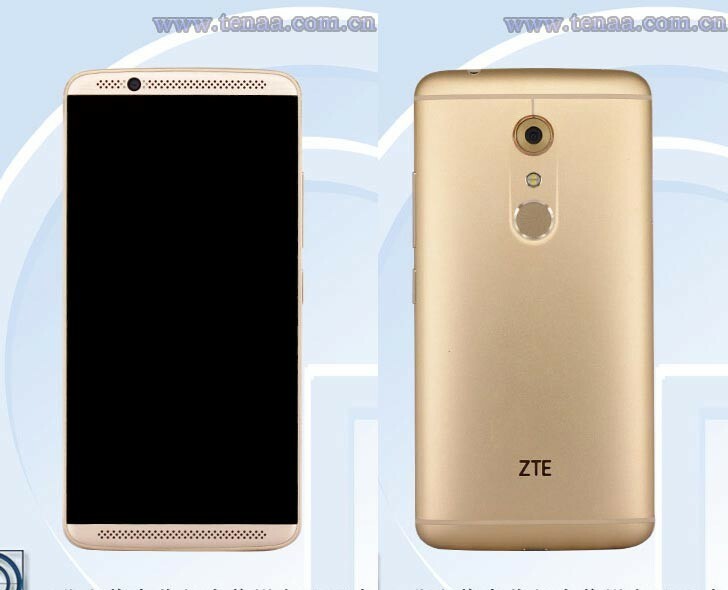 At the front, ZTE has kept the dual grill design on the top and bottom, which is Axon's main design accent. In terms of specs, the ZTE Axon 2 comes with a 5.5" QHD OLED panel and has a Snapdragon 820 chipset between the sheets of the metal unibody. There's 4GB of RAM and 64GB of storage, expandable via additional 128GB. The main camera is 20MP coupled with dual-LED flash, while the secondary one is 8MP. The phone will definitely feel solid with a weight of 175 grams. It measures 154×77×9.8 mm. Charging happens via a USB Type-C port. With TENAA's approval now in the bag, the ZTE Axon 2 shouldn't take too long to become official. With specs like that it'll cost you a pretty penny, it's the main thing I dislike about ZTE. Actual stereo speakers this time, or only fake grill like the first Axon?